Loris Karius is not surprised by his recent good performances in the cup competitions, because that’s the level he expects of himself. The German was dropped from the Premier League side in December, but has done well in games against Plymouth and Southampton this month – and will start again tonight in the FA Cup 3rd Round Replay. He was having a very tough time of it towards the end of last year, losing us points against Bournemouth and West Ham and getting involved in a media storm with Gary Neville and Jamie Carragher – but he’s quietly gone about his business in training and has only given an interview now he’s back on track. “Now I’m back playing at my normal standard. 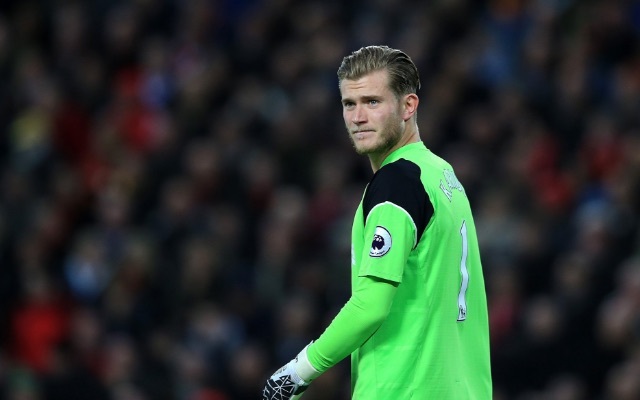 I’m not surprised that I can play like this, because that’s my aim and what I expect from myself,” Karius told the club’s official website. “I wasn’t really surprised or ‘buzzing’ about it or whatever. That’s just what I expect. I take that with me and go on in the next games. I’ll try to keep up these performances and help the team when they need me. I didn’t need one save to lift my confidence. I’m always confident in my abilities, even when you have a bad game. “You don’t have any other choice — if you don’t play, the training is all you have,” he added. “Maybe then there’s even more focus on it, because you have more sessions as well when you’re not involved in the game. “Of course, I would rather be on the field at the weekends, but if that’s not how it is you have to do your best in training. But I always try my best in training, because it’s for yourself and improves you. Interestingly, it seems Liverpool are now in a pretty strong position goalkeeper wise. Mignolet is playing better than he ever has for us, with his ousting from the starting XI and competition from Karius significantly boosting his levels from the kind of performances which saw so much criticism last term.